The sheer scale of the Digital India programme and the coordination it requires from both the government and private players may throw it off track. Around March 2014, Devendra Verma, a US-based venture capitalist (VC), and the co-founder, Chairman and CEO of Hindustan Semiconductor Manufacturing Company (HSMC), was elated. The Union Cabinet had approved two semiconductor manufacturing facilities, one of which happened to be his Gujarat project at a cost of Rs 29,013 crore. "Our chips can be used at least for government products that are manufactured in India," Verma had told Business Today back then. Nearly 15 months later, the script appears to have gone a bit awry. Verma faces a billion dollar question from his investors: "Who is your customer?" The company does not have an anchor customer yet and all the Indian electronic product companies Verma has approached till now seem to be happy importing chips from overseas. A large multinational has also refused him business saying their fab labs in China and Korea are yet to achieve their desired capacity utilisation. However, Verma is not giving up yet, and wants government to do more. Part of Prime Minister Modi's recently-launched Digital India programme will be crippled if domestic manufacturers do not source electronics locally - one of the stated targets of the programme is to achieve 'net zero imports by 2020'. According to the India Electronics and Semiconductor Association, the Indian Electronic System Design and Manufacturing (ESDM) market will grow from $76 billion in 2013 to $94 billion in 2015. The industry is expected to touch $400 billion by 2020. However, local production and services is estimated at only $100 billion. This implies a demand-supply gap of $300 billion. The target of zero imports, therefore, is an arduous one, and is unlikely to be achieved unless the government figures out a way to coerce manufacturers into buying domestic components. That's a tough ask. Also because Digital India, rather ambitiously wants to stitch many existing schemes from different ministries as well as departments to "prepare India for a knowledge future". It will rest on nine pillars. Apart from electronics manufacturing, there are broadband highways, universal access to phones, public Internet access programme, e-Governance, electronic delivery of services, information for all, jobs and, what the government calls, 'early harvest programmes'. But since Digital India is essentially a pulling together of older schemes it is also a repackaging of the UPA government's programmes: Old wine in a new bottle. But, it takes a lot of good beer to make great wine - goes an old saying. Let us sample some of the good beer brewed by the UPA which Prime Minister Modi now seeks to leverage. Although execution was a challenge, the UPA government's policies were steps in the right direction. In 2006, it approved the National e-Governance Plan (NeGP) that comprised 27 mission mode projects. Two important transformations here were the Passport Seva Project in 2010 and the MCA21 project, launched by the Ministry of Corporate Affairs to facilitate e-filing. Similarly, the concept of a unique identification was first discussed in 2006 and the Unique Identification Authority of India (UIDAI) was set up in 2009. Nearly, 82 crore Aadhaar numbers were generated by April 2015. The UPA government also had a vision for rural broadband. The government, in 2011, had approved setting up of the National Optical Fibre Network (NOFN) to provide connectivity to 2.50 lakh Gram Panchayats at 100 Mbps bandwidth, each. And in 2012, the Cabinet had approved the National Policy on Electronics with a target to boost domestic manufacturing and cut imports. Announcements of investments by industry leaders made juicy headlines during the launch of Digital India - but that, too, were mere optics. Not all of it is fresh money; most of the investment and employment plans had already been frozen much ahead of the campaign. 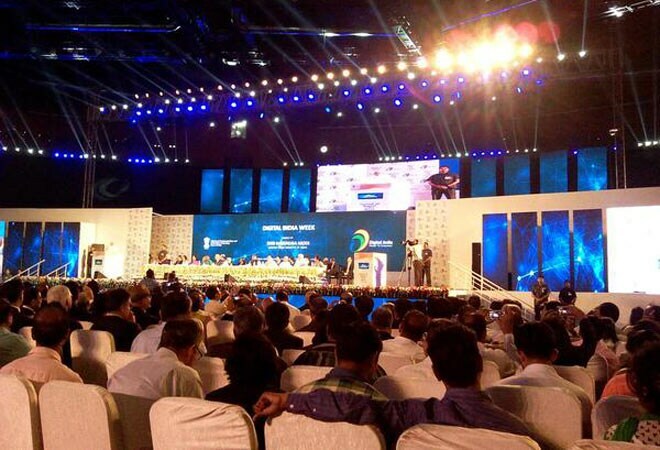 Overall around Rs 4.5 lakh crore worth of projects related to Digital India were pledged. Reliance Industries Chairman Mukesh Ambani had said he would invest Rs 2.5 lakh crore in the rollout of wireless broadband infrastructure, among others. But a year ago, in June 2014, Ambani announced that its 4G services company Reliance Jio Infocomm would commercially launch the services in 2015, which involved investments of Rs 70,000 crore. In a report released in June this year, brokerage house Kotak Institutional Equities said it expects Reliance to make $17 billion of cumulative investments in telecom by 2016/2017. Kumar Mangalam Birla, Chairman of the Aditya Birla Group, said that Idea Cellular would invest $7 billion over the next five years in network roll out. But the company had already planned its capex of around Rs5,500 crore for 2015/2016 a while back. Cyrus Mistry, Chairman of Tata Sons, said that Tata Consultancy Services would hire 60,000 IT professionals this year. However, the HR head of TCS, Ajoy Mukherjee, had earlier announced the company's hiring plans, soon after TCS had announced its fourth quarter results in April. So what's new? There are disparate investments by private companies and the government. Different programmes run in isolation. The big idea is to make them part of a larger goal. The idea of an umbrella programme, says the government, will make this mission "transformative". The hope is that the participating agencies and companies will rally behind a central theme. Programmes in India lose energy and a central theme with better monitoring may just keep them going. The government is likely to hunt for common linkages and probably standardise many e-governance initiatives, for instance. That way, many states will have a shorter learning curve. Transformations, which involve cultural change, are never easy. The breadth of things the programme wants to cover makes it even more complex. Take the case of NOFN. 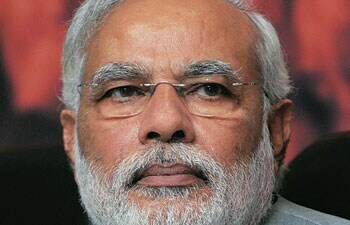 The programme, under the UPA government, was progressing at a snail's pace and the present government may speed it up. But, what next? Without reliable power supply, NOFN will be ineffective. Even if the 2.5 lakh Gram Panchayats are lit up with broadband, villages today have no clue about what to do with it. There are no applications, no content to consume. Dr Sumit Chowdhury, former president of Enterprise Business at Reliance Jio, clubs a set of applications that could work under the term 'Utopian Digital Village' - it must be a set of common cloud-based applications delivering bookless schools, doctorless clinics, paperless commerce, and a cashless economy. And, here comes the second bottleneck. Who is going to invest in creating these applications? The private sector may not be interested in a public private partnership (PPP) - projects in the villages may not be commercially viable. Som Mittal, the former president of Nasscom and part of an expert committee constituted by the Department of Telecommunication on NOFN earlier this year, thinks there will be a problem even in funding the infrastructure to connect the villages. The initial budget for NOFN was around Rs 20,000 crore. Today, it would cost Rs 70,000 crore because of a new architecture recommended by the expert committee. There is another reason why the private sector may not be interested in funding such projects. According to Nasscom, about Rs5,000 crore in contract payments to technology companies are still stuck with the government from previous projects. The Goods and Services Tax Network (GSTN), a company formed to provide the technology backbone for India's most ambitious indirect tax reforms, recently discovered the cynicism when it went scouting for vendors. GSTN had to meet IT industry representatives many times before it could convince some to participate in its requests for proposal. Other issues in the roll out of Digital India are more structural. The government may not have the institutional capacity to execute a programme of such massive scale. Business Today recently spoke to the former Minister of State with the Ministry of Information Technology and Communi-cations Milind Deora. He listed many issues that could throw a spanner in the works - lack of a stand on net neutrality, no mention of The Electronic Delivery of Services Bill, 2011 (which required public authorities to deliver all public services electronically within a maximum period of eight years), lack of clarity on privacy, cyber security, and limited human resources capacity in the government. Not all of what Deora is saying is about taking potshots at the government. It will indeed be a challenge to monitor the whole programme. In the current governance structure, a monitoring committee, chaired by the Prime Minister, will oversee the execution. The Finance Minister, Minister of Com-munications and IT, the Minister of Resource Development, Ministry of Human Resource Develop-ment, and Ministry Health would constitute the rest of the committee. Special invitees would include the Principal Secretary to the PM, Cabinet Secretary, Secretaries of Expenditure, Planning, DoT and Posts, as well as the Secretary of the Department of Electronics and Information Techno-logy (DeitY). That's a powerful club but to execute a vision of this scale, one would require more professional programme management skills, and a body that can coordinate across ministries and states. The government realise some of its limitations. DeitY's website has a presentation on Digital India and it must have been prepared by a brutally honest babu. The human resource issues Deora hinted at are listed in bullet points. "NIC (National Informatics Centre) - not equipped for a fraction of this task"; "DeitY - needs programme managers - at least four more officers at senior levels"; "Ministries - Need a Chief Information Officer or Chief Techno-logy Officer". The last slide of the presentation has India's 2014 global ranking on the ease of doing business - No. 134. If the grandiose plans are executed properly, the Digital India initiative could well help the country salvage its reputation.